India known for its unity in diversity, celebrates colorful festivals all year round. 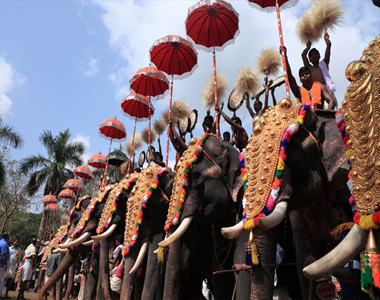 Our customized Festival Tour helps you enjoy the colorful festivals celebrates from northern to southern parts of India. On captivating festival tour you will learn about celebrations that are spiritual in nature, associated with the lives of citizens, harvesting and change of seasons. The harvest celebrations of South, the car festival of Puri, the immersion of Ganesh in Mumbai, Republic Day in Delhi, snake-boat in Kerala, Kumbh Mela, Goa Carnival, Elephant festival of Jaipur there are various celebrations. Our exclusively designed festival tour package invites you to experience the cultures, traditions and ethnicity of incredible India. During your festival tour you will get to know that each religion of India has something special to celebrate, each belief has its own festivals, lore, forms of art and rituals. 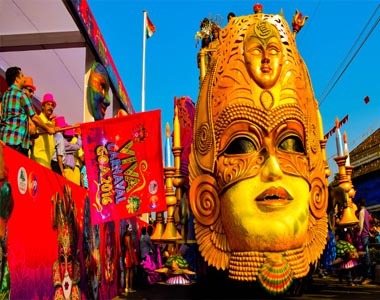 Goa Carnival Festival Tour The Goa carnival 3 days and 3 nights festival which starts in February. During the time of festival the streets of Goa come alive with bright colors, lively processions, floats, the music of guitars and attractive dances. Konark is famous for festival of classical dance and music which is held annually in the month of December. In the backdrop of Sun Temple. 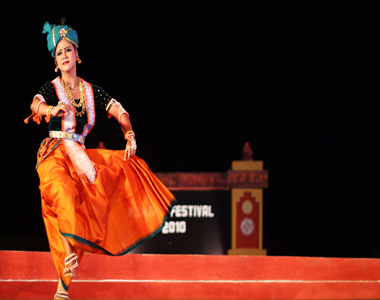 Dancers from all over the country come and perform in the open air auditorium. 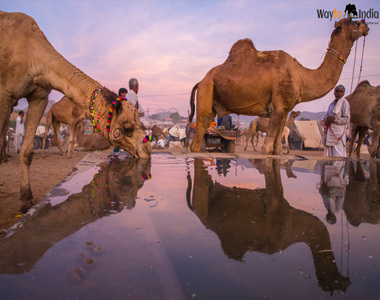 This 5 day travel package, Best of Sizzling Kutch would fit the bills of those who like to have a close brush with the unique topography and dramatic landscape and tourist attractions of Rann of Kutch. Enjoy Jeep Safri along the Rann of Kutch. Visit Aina Mahal Museum at Bhuj. 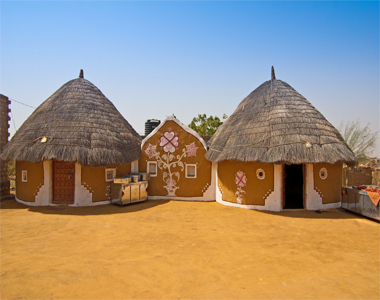 Visit tribal villages such as Dhordo village, Bhirandiyara village and, Ludiya village. Visit the temple of Ashapura Mata. Gangaur festival tour is one of the most important local festivals in the state of Rajasthan, India. “Gan” stands for Lord Shiva and “Gaur” stands for Shakti or Goddess Parvati. 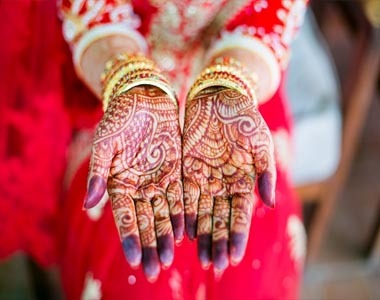 Thus, Gangaur is a symbol of conjugal and marital bliss and happiness. Kutch is the largest district in India, which spreads over 45,000 sq.km. It is bestowed with a spectacular topography consisting of the world's largest salt desert, measuring around 10,000 square kilometers. Visit Swaminarayan Temple & Aina Mahal Museum at Bhuj. 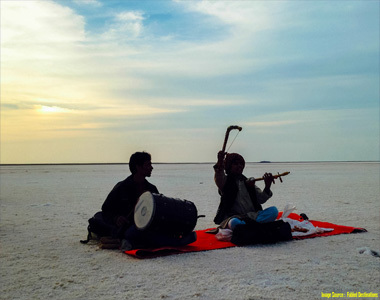 Visit Great Rann of Kutch. 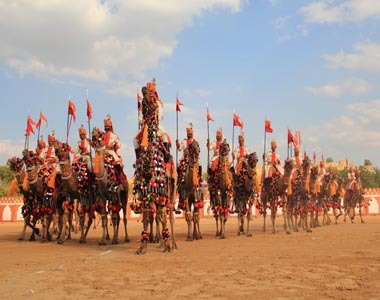 Bikaner Camel Festival is organised every year by the Department of Tourism, Art and Culture, Government of Rajasthan. 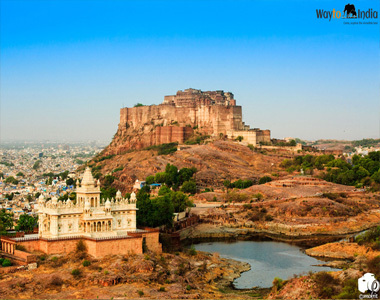 It is held in the month of January, wherein you can see the desert's ships in the historical city of Bikaner. 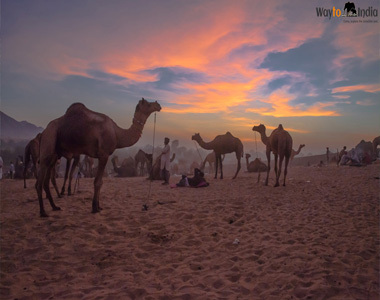 Every year during the winters, the colorful state of Rajasthan, India is filled with fun, frolic and exuberance during the Desert Festival Jaisalmer. To book your Desert Festival Jaisalmer send enquiry now.